Cobham Aerospace Communications, manufacturer of satellite communications solutions, and Inmarsat (LON: ISAT), provider of global mobile satellite communications, announce they are entering into a contract for the certification of the AVIATOR 300D satellite communication system on Boeing 737NG aircraft. 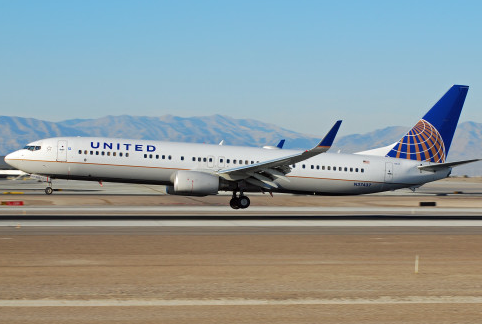 This new STC for the Cobham solution will enable United Airlines to extend Inmarsat’s SB-S satellite IP platform to more of its fleet, bringing the airline more operational efficiencies from the connected flight deck. For the last year, United Airlines has been using Cobham’s AVIATOR 300D satcom and Inmarsat’s SB-S IP broadband platform on its Boeing 767-300 aircraft in the North Atlantic Airspace for communications and surveillance with Controller-Pilot Data Link Communications (CPDLC) and Automatic Dependent Surveillance Contract (ADS-C) messaging. Developed and owned by Avionics Support Group, Inc. (ASG) for the AVIATOR avionics and Delta G Designs, Inc. (DGD) for the compact Cobham IGA-5001 Intermediate Gain Antenna, the STCs will cover the Boeing 737, NG and MAX aircraft and are expected to be available in early 2019. Brian Anderson, Americas Air Transport Sales Manager for Cobham, said that following the much-anticipated launch of SB-S into commercial service earlier this year, this new STC will add to the growing support from airlines and partners as further evidence that the Cobham AVIATOR and Inmarsat SB-S IP platform is the preferred communication technology solution that will meet the needs of the aviation community in the years ahead. John Broughton, Vice President, Safety and Operational Services, Inmarsat Aviation, added that United Airlines is a key partner to Inmarsat and Cobham in the digital transformation of today’s aviation industry through market-leading operational connectivity. They are extremely pleased that United Airlines is now extending the benefits of Inmarsat’s IP broadband platform and Cobham’s AVIATOR solution to this new class of aircraft, enabling United to optimize fleet performance and improve efficiency. The AVIATOR 300D and 350D systems provide fast and reliable connectivity on the Inmarsat satellite network, delivering high speed broadband to the cockpit while maintaining security through secure ACARS gateways, allowing value-added operational applications over broadband IP and safe and speedy ACARS/FANS communications. Inmarsat’s SB-S is said to be the only global, secure broadband platform for operational and safety communications that offers airlines visibility into their operations through dedicated IP connectivity between the aircraft and the ground. SB-S applications use real-time data to improve asset utilization, reduce fuel and emissions and assure maximum levels of safety in the skies. These include flight tracking, real-time graphical weather, optimized flight profiles and real-time aircraft performance monitoring.